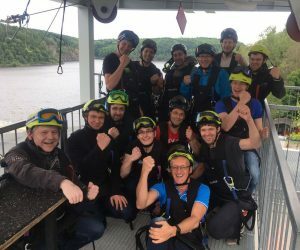 In GEWI’s 25 year history the company has held many enjoyable summertime events for employees, but by all accounts the 2017 event was the most thrilling experience yet. GEWI founder Hagen Geppert has always believed that “the company that plays together, stays together”. This philosophy has resulted in the average GEWI employee having a tenure of nearly 13 years with the company.